Offering spectacular panoramic views across the valley to La Masse and up to Val Thorens, these modern compact chalets make a great base for those who want to be right on the slopes. 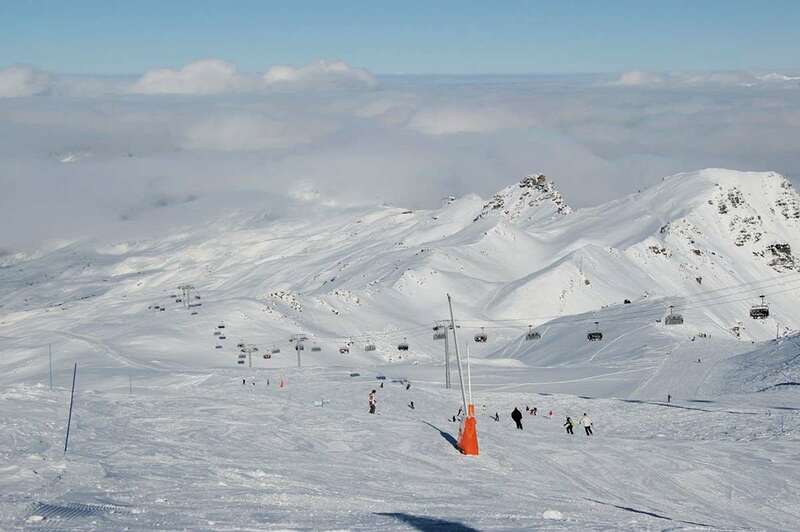 You can ski to within yards of your door with great access to the top of the 3 valleys crossover. You can party at the famous La Folie Douce in Val Thorens and just get the last lift up then ski down the ridge to your chalet. The Ferme de Reberty bar and restaurant is just 50m away, and a supermaket is nearby. There is a free bus runs which until 11:30 pm daily to access Les Menuires shops, bars and clubs, then a taxi costs just 8€ back home. A return minibus to Val Thorens takes about 15 mins each way and costs 80€ for 8, or you can just ski in and taxi back après ski! Nearby supermarket should you want to add any extra tipples! Upstairs rooms have low ceilings of approximately 6ft. Jacuzzi (2-4) people on the balcony. Internal ski and boot store. 50m from a nice blue piste. The Ferme de Reberty bar and restaurant has a great atmosphere in the evenings and is just 50m away. Room 4: Twin with en suite shower and seperate wc. - N.B. low ceiling height in bedroom, shower has sloping ceiling and low headroom, and no door to seperate from bedroom. Chalet Board (breakfast, afternoon tea & cake, evening meal with wine) Please note an important change to the chalet catering for the 2018-19 season. The chalet staff will now have 2 nights off per week, on a Wednesday and a Saturday. On these days they will leave breakfast and afternoon tea out for you, but the evening meal is not provided, which gives you an opportunity to dine out in resort, where there is no shortage of restaurants, not to mention an excellent choice of bars and shops. Guests will continue to receive a three course evening meal with wine on the other 5 nights of the week. The price shown includes 3 nights accommodation, with flights from Birmingham.